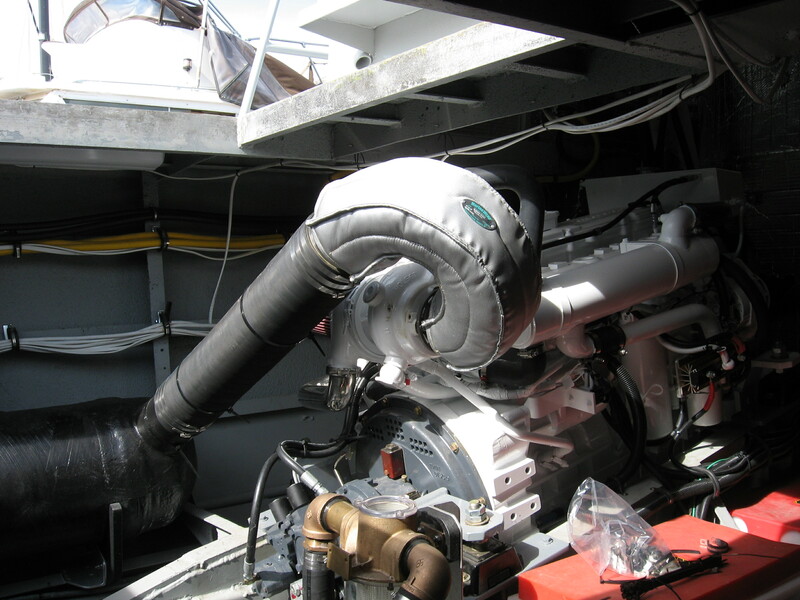 Here are some pics to show you how some “out of the typical box” thinking can help in making the exhaust as it should be – Safe, practical, and politically correct for the vessel to allow an easy “get around engine room” and one that truly fits the installation. 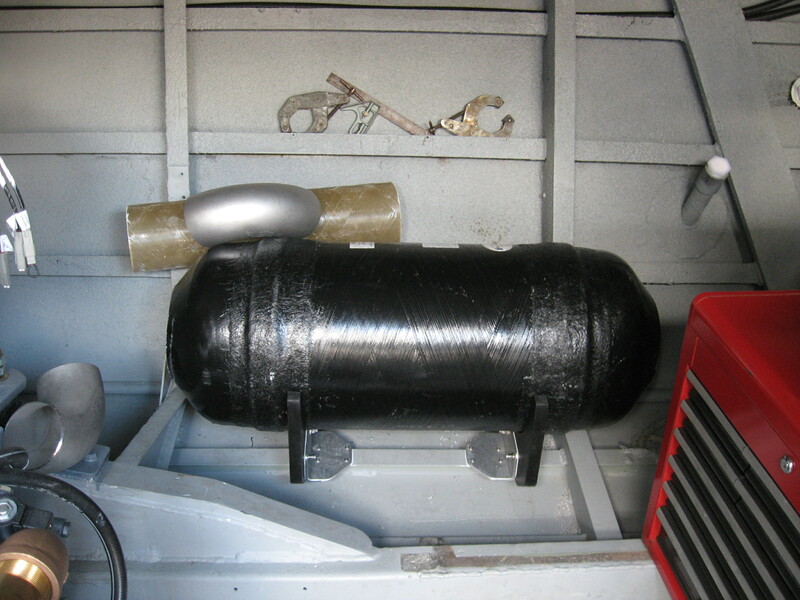 Starting with a “factory” inline muffler shape applicable to the install. 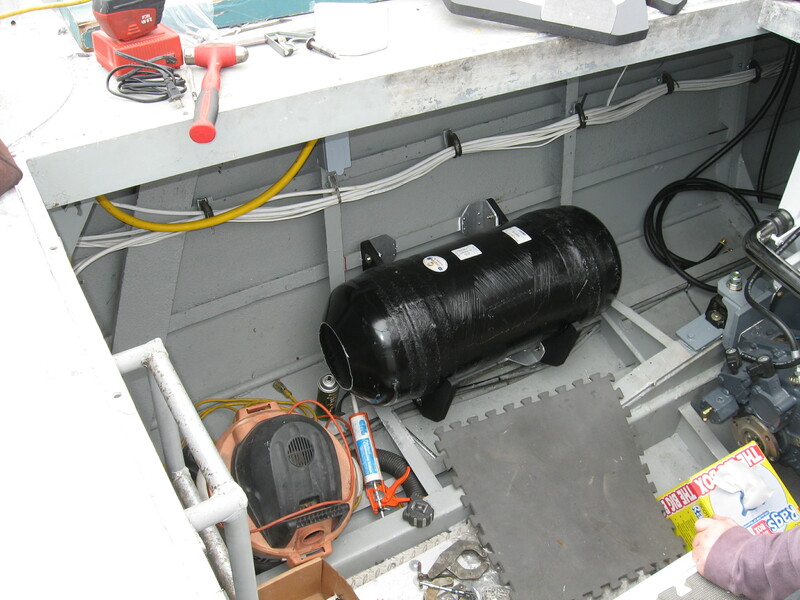 Gathering the necessary “puzzle” pieces. 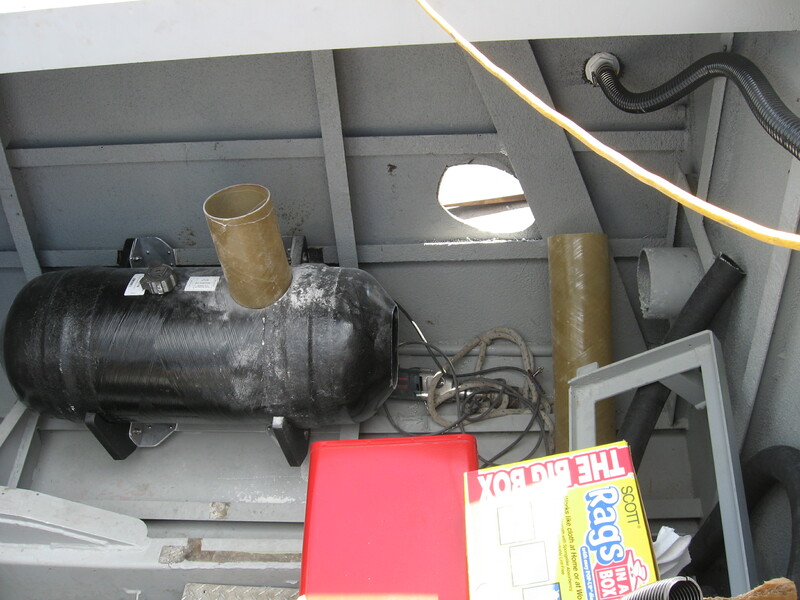 Outlet for muffler “dip tube” and side exhaust outlet. 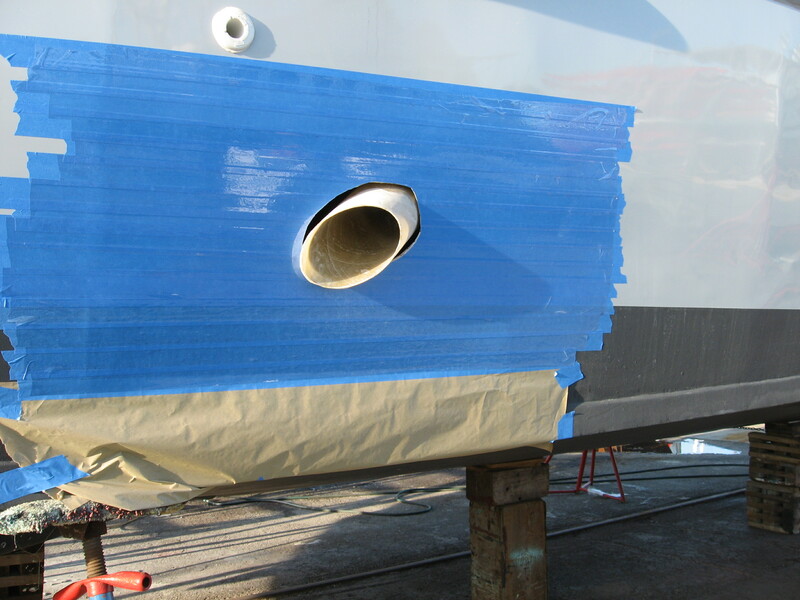 Building the custom mitered exhaust outlet tube to “fit” the boat. 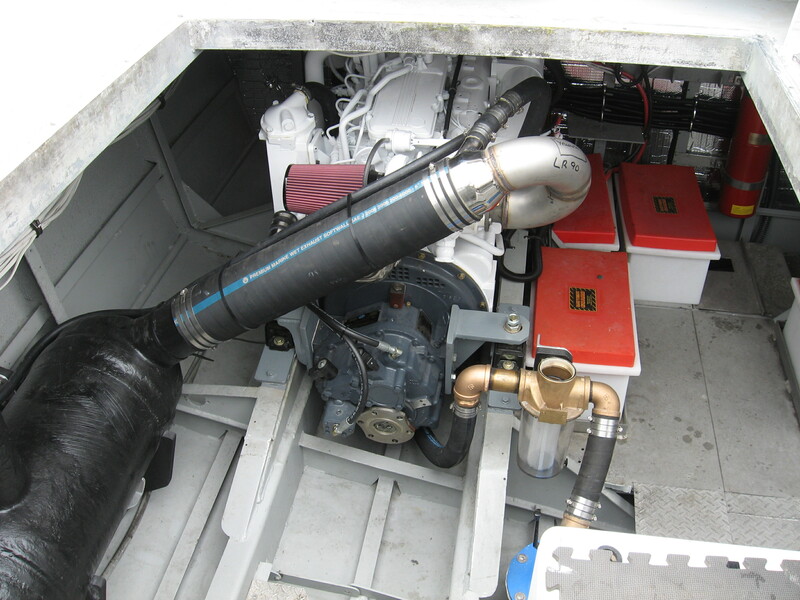 Custom “dryriser” and muffler inlet design. 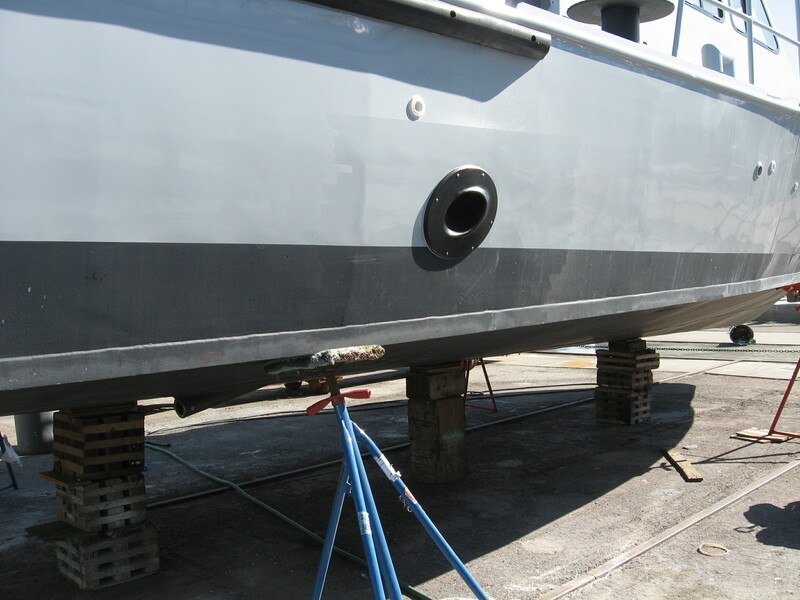 Getting the “hull” set up for an exhaust outlet. 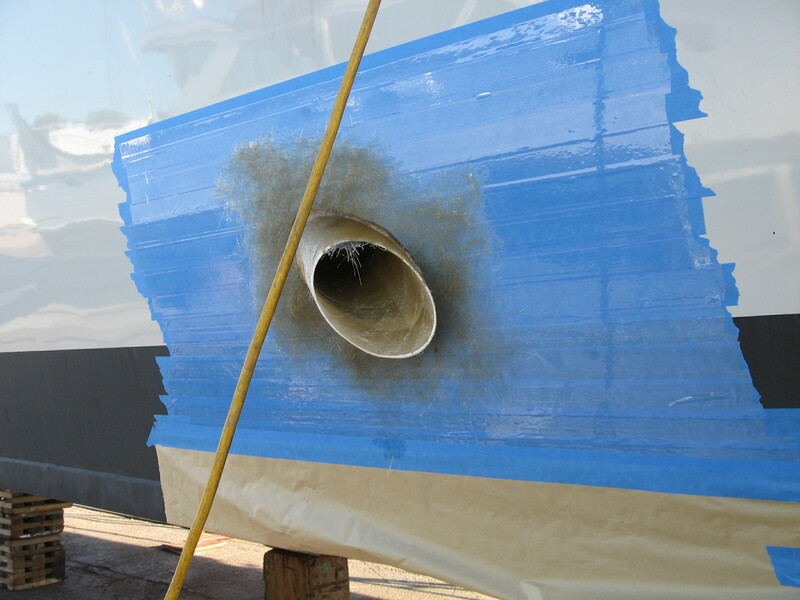 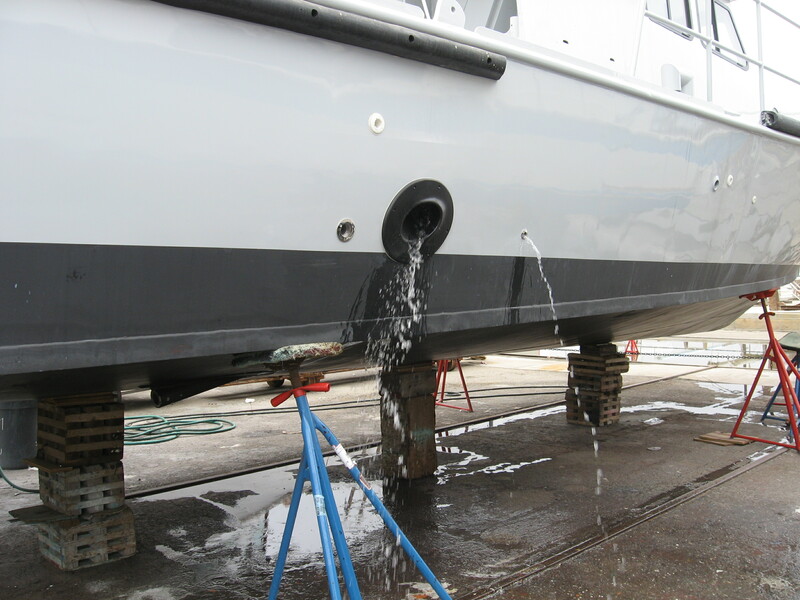 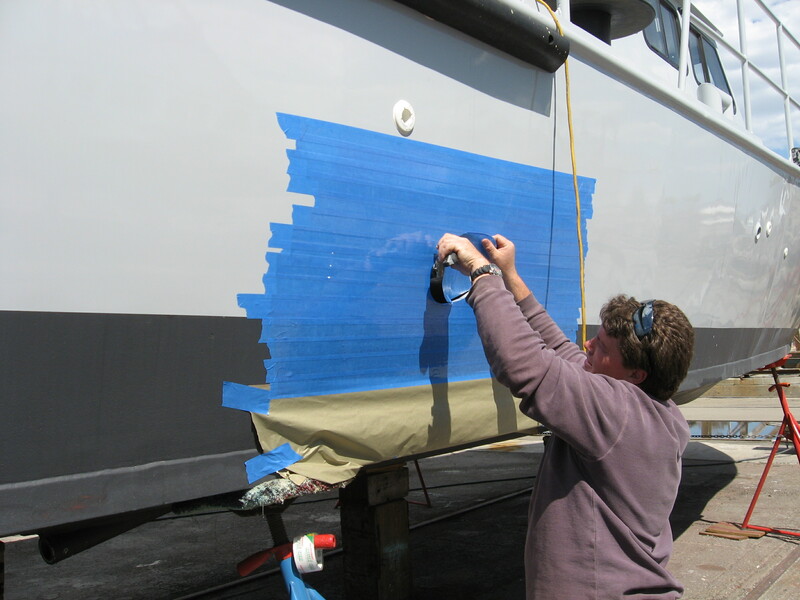 Side exhaust outlet tube mock-up – You need to protect the boat’s LP paint job!! 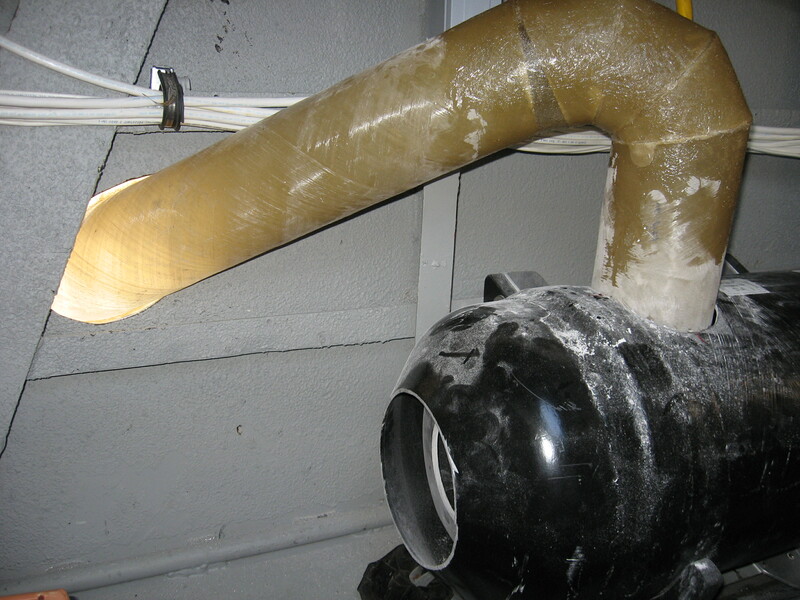 Outlet flange building process on “mold-release” tape.